We are having a poolside summer bash, while summer lasts. Eat some great food, mingle with the best, chill poolside & find your next home at The Daley, all at the Taste of Rockville. It is all happening on Saturday, September 9, 2017 from 2-5 p.m. at the Daley’s gorgeous outdoor swimming pool. Our friends from On Tap Magazine are throwing the whole soiree, and we are providing the perfect Rockville, MD location at The Daley! 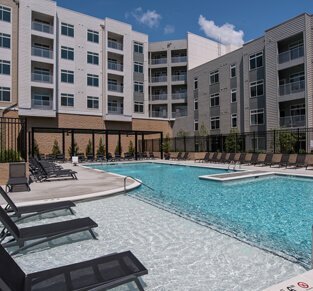 You’ll be able to ask questions about The Daley, get a feel for the amazing outdoor amenities we offer, and mingle with our staff and residents/non-residents alike. Who else is coming you ask? Three great local places: Botanero, Paladar Latin Kitchen & Union Jack’s British Pub. Music is a must at any good party, so we have DJ Chazon coming out to play some tunes. Pair that with the bounty of Corona, Corona Light & Pacifico we are going to have, and you have yourself a party you don’t want to miss! Here’s the details on how to get into Taste of Rockville: RSVP here and then show up! We can’t wait to have you!